Sonam Kapoor's Latest Instagram Offering Is Picture-Perfect, Just Like Her Dress! Can you believe that we've already entered the new year and the holiday season is (almost) over? 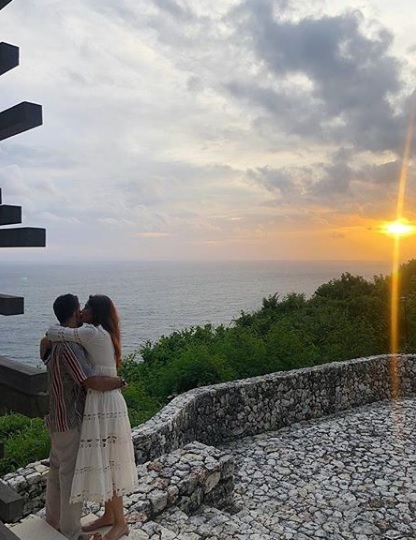 While us mere mortals try to fall back into schedule post the heavy partying that came with Christmas and NYE, our favourite B-Town stars continue to give us major vacay goals, read envy. 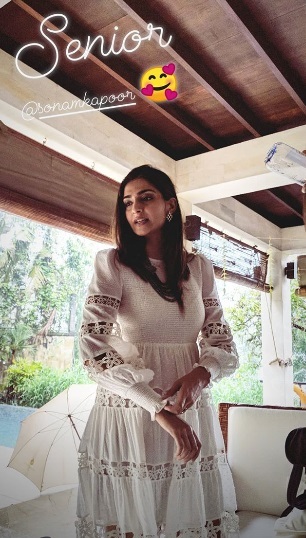 Ending 2018 and consecutively starting the new year with a holiday, Sonam Kapoor and her crew showed us how to vacay in style. 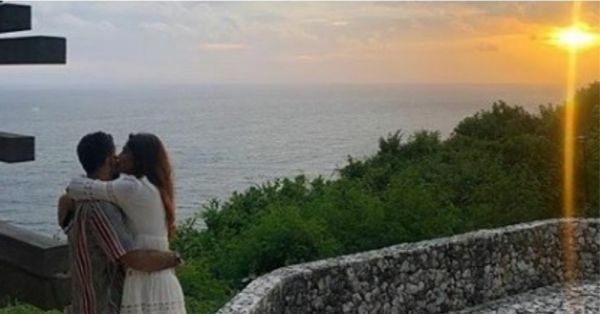 While in Bali for her end-of-year+ beginning-of-the-year getaway, the actress gave us a glimpse into her 'First day of the year' by posting a sweet picture with hubby Anand Anuja. 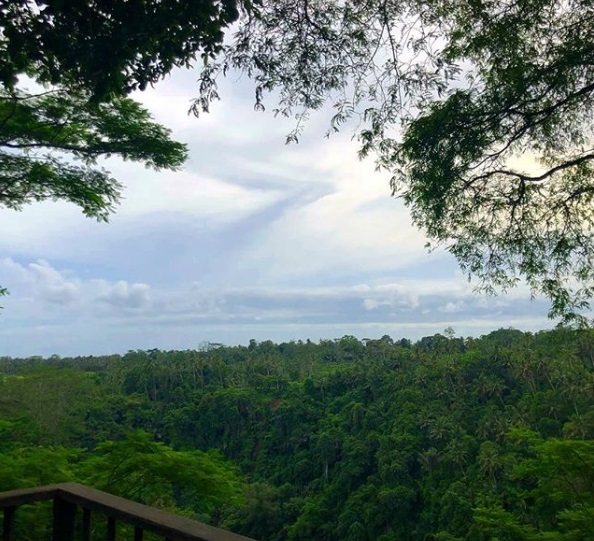 Now the landscape may force you to pause and take a long look, with the sunset, the greenery, and the place overlooking the sea, but believe us when we say there's more! Sonam Kapoor's dress, of course! Her fashionable pick of the day was a dainty, ivory midi dress. 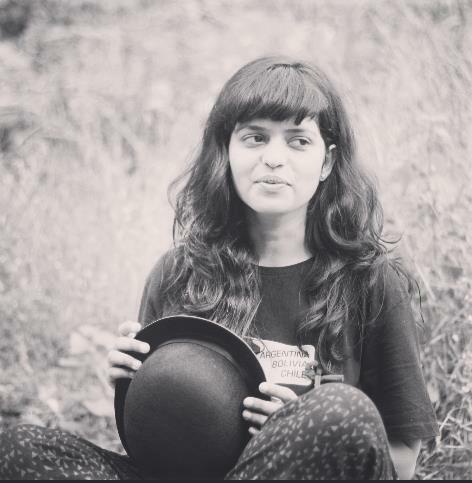 Floral cut-out details from the waist down added a bit of flair to the ensemble, and like always, Bollywood's favourite fashionista pulled out all stops to give us a holiday-perfect look. If you thought it couldn't get better, one look at the sleeves would tell you otherwise. Besides the similar cut-out details, the sleeves sported puffed-up gathers along with frilled cuffs. Keeping her overall look otherwise simple, Sonam paired her dress with simple stud earrings and flats, as one does on vacation. If that doesn't give you some holiday-wear inspiration, we don't know what will! 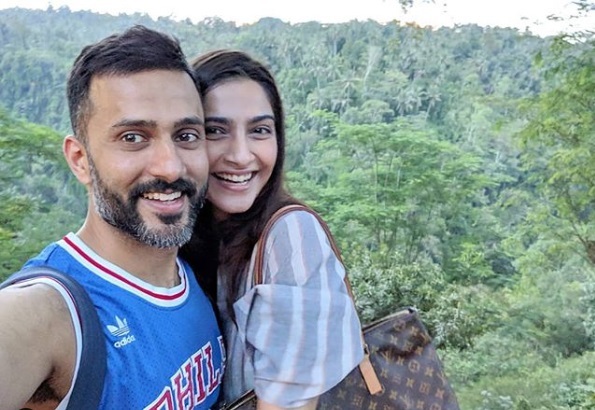 Husband Anand Ahuja too wasn't far behind when it came to sharing pics from their getaway. Dressed in casual outfits, the couple looked like they were having a great time. 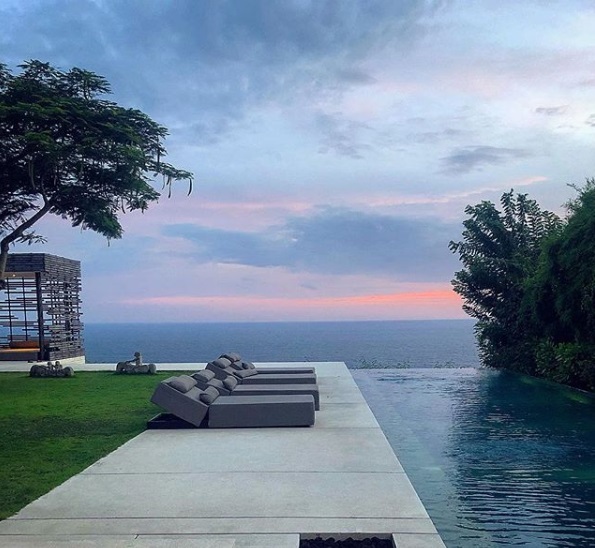 There was more to be seen from the picture-perfect location, and the slew of pictures is making us want to book a vacation of our own right now! Can't wait to go all out on a holiday in style? Same.